This detached contemporary conversion of a Grade II listed barn is situated in the grounds of the owners’ home, in a quiet area of the valley providing peace and tranquillity. 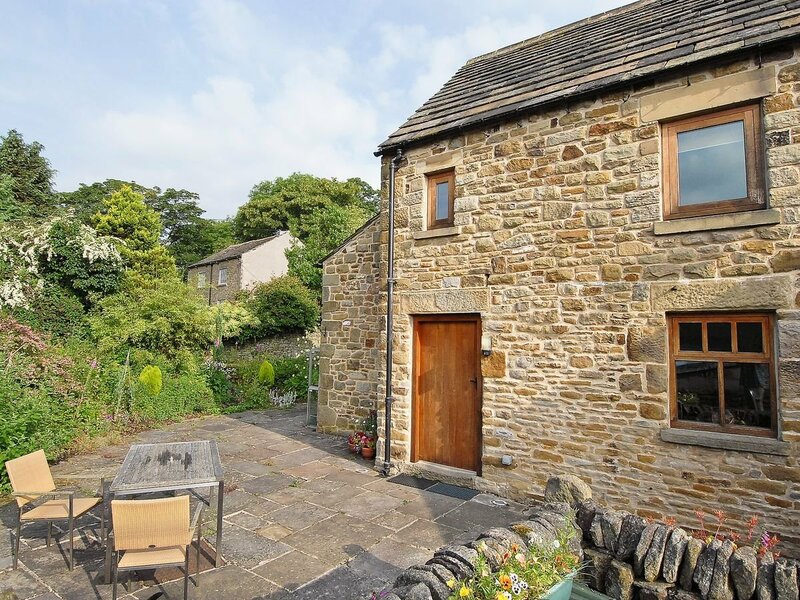 Carringtons Barn living accommodation is on the first floor with stunning panoramic views and includes a fully fitted, hand built kitchen, living room with a woodburner and dining area. Edale is well known for outstanding hill walking and is the start of the Pennine Way. Local attractions include the Blue John Caverns (Castleton) and the Chatsworth and Haddon estates. Shop 6 miles, pub 1 mile, restaurant 7 miles.Ground floor: 1 double (5ft) bedroom with shower cubicle. Separate toilet. First floor: Living/dining room/kitchen with wooden floors. Bathroom with shower over bath. Steep, spiral stairs to galleried seating area.Woodburner in living room (initial fuel inc). Oil CH, elec, bed linen and towels inc. Freeview TV. DVD player. Ceramic hob. Electric oven. Combi m/wave/ oven/grill. Use of owners’ w/machine. F/freezer. Wi-fi. Terrace with sitting-out area and furniture. Shared 3/4 acre grounds. Ample parking. Cycle store. No smoking. No children. Be the first one to tell us about your rental experience while staying at Carringtons Barn. Let us know if the listing matched your expectations. You can share your comments about the location, property owner/manager and all the unique features that made your stay a memorable one.